Nearly a third of children aged 2-15 in England are overweight or obese. Younger generations are becoming obese at earlier ages and staying so for longer. Reducing obesity levels is a major public health challenge as the condition doubles the risk of dying prematurely. Obese adults are more likely to develop health conditions such as heart disease, type 2 diabetes and depression. Treating conditions related to obesity is a major financial burden on the NHS, costing more than £5 billion a year. The government’s plan for tackling childhood obesity was branded ‘underwhelming and a missed opportunity’ by charities, the RCN, medical royal colleges and campaign groups when it was published last week. Measures include a voluntary target to cut sugar by 5% in children's food and drink over the next year. Public Health England will monitor voluntary progress over the next four years and the ultimate target is a 20% sugar reduction. Conservative MP and former GP Sarah Wollaston says the plan, Childhood obesity: A plan for action, showed ‘the hand of big industry lobbyists’. 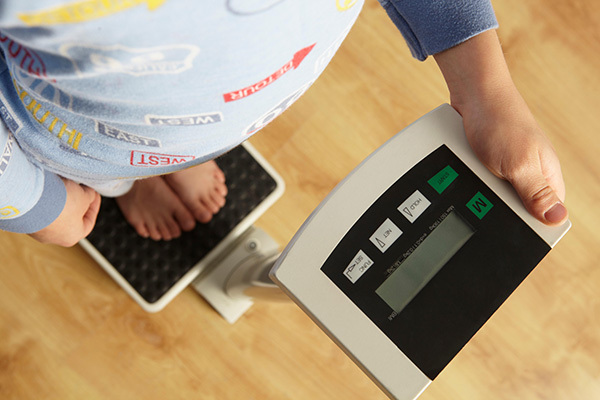 A child’s body mass index is defined as weight in kilograms divided by the height in metres squared (kg/m2). To take into account growth patterns by age and gender, a children’s BMI is compared with BMI centiles on published growth charts. When plotted, children with a BMI above the 98th centile are considered clinically obese. For population monitoring, those above the 95th centile are classed as obese. Obesity is caused when more energy is taken in through food than spent through activity. The poorest children and those with obese parents are more likely to be obese. Research has suggested that birth weight, sleep duration and TV viewing can also be associated with an increased risk of obesity. Information for healthcare professionals in the plan includes talking to parents about their family’s diet, making it the default to weigh everyone and referring people to local weight management services, clubs and websites if they ask for more advice. RCN professional lead in children and young people Fiona Smith said: 'Nurses have an important role tackling obesity and need to have effective communication with children, parents and grandparents. Making every contact count involves nurses having conversations with families based on behaviour change methodologies to empower healthier lifestyle choices.